Both the country's elite and the public are unanimous in their perception of the most influential journalists. The list is topped by Edmundas Jakilaitis, Andrius Tapinas, Monika Garbačiauskaitė-Budrienė and Rimvydas Valatka. These are the results revealed by the Delfi project Most Influential in Lithuania 2017. Friday features the reveal of the listings for news media representatives. According to a survey by the journal Reitingai, E. Jakilaitis is elected the most influential journalist in the country for the third year running and with little to no competition. E. Jakilaitis is known for his role as the host of the Dėmesio Centre [In Focus] talk show, working as the producer of a number of other shows and projects and hosting special electoral shows and debates. Second on the list we find A. Tapinas. He is the founder of the internet television Laisvės TV [Freedom TV], the host of LRT quiz show Auksinis Protas [Golden Mind], as well as a Delfi analyst with 137 thousand followers on Facebook. According to the elites, third in the list is chief editor for the Delfi news portal M. Garbačiauskaitė-Budrienė. Journalist, Delfi analyst Rimvydas Valatka lands in fourth place, while LRT Television show Teisė Žinoti [Right to Know] host, who recently joined the Laisvės TV project, Rita Miliūtė comes in fifth. Within the top ten we also find the chief editor for Verslo Žinios [Business News] Rolandas Barysas, Delfi analyst and Info TV show Dienos Komentaras [Comment of the Day] host Indrė Makaraitytė, LRT executive director Audrius Siaurusevičius, LRT show Bėdų Turgus [Trouble Market] host Edita Mildažytė and Lietuvos Rytas analyst Vytautas Bruveris. Respondents mentioned several other individuals who did not enter the list, but are, according to them, influential: Tomas Balžekas, Birutė Dovidaitytė, Eduardas Eigirdas, Karolis Kaupinis, Vitas Tomkus and Alfredas Zdramis. E. Jakilaitis triumphed in the public opinion poll held by Spinter Tyrimai as well. Second place in it went to R. Valatka and third to A. Tapinas. According to the public, fourth place goes to Lietuvos Rytas television show host Rūta Janutienė, while fifth goes to E. Mildažytė. The top ten also features the host of LNK television show Valanda su Rūta [An Hour with Rūta] host Rūta Mikelkevičiūtė, A. Siaurusevičius, R. Miliūtė and M. Garbačiauskaitė-Budrienė. In tenth place we find Info TV show Info Diena [Info Day] host Rasa Tapinienė. "The newer faces in television made a breakthrough, Daiva Žeimytė shot upward, I. Makaraitytė rose a great amount. Those who often appear on television reached high positions. Meanwhile radio journalists are much less prominent," Reitingai chief editor Gintaras Sarafinas said. He explains that people who are frequently seen on television are viewed as having the most influence despite this not always being the case. He reminds that in the overall list of the most influential last year, E. Jakilaitis took second place, surpassing even the then Prime Minister Algirdas Butkevičius. "People associate E. Jakilaitis with a significant capacity which can be decisive in letting someone shine or slip down a slope. E. Jakilaitis is an undisputed entity in news media though when you talk with professionals who evaluate influence, they say that the impact of news media owners or executives is more significant, they control the entire steering wheel, often steering through several news media outlets at once," G. Sarafinas said. He notes that in voting for the most influential journalists, there was a large disparity between Vilnius and the regions. "Influence is not easy to measure, results show that people value the journalists, editors and heads of organisations who have much experience and, in principle, significant audiences. The most accurate evaluations are of representatives of companies leading in terms of information. These people have already entered the collective consciousness. No doubt in the current fragmented news media environment, when people spend much time on social media, mass media's influence has declined somewhat, but it remains strong," Vilnius University Department of Communications Institute of Journalism director docent Deimantas Jastramskis comments. He points out that there is little disconnect between the elites and the public in this case. At the same time D. Jastramskis notes that measuring the influence of news media is not a simple matter. On one hand a single journalist has, in reality, no real power, but their capacity of public communication can influence political decisions. For the third year now Delfi presents its exclusive project Most Influential in Lithuania 2017. A seven part cycle will reveal who the most influential politicians, businessmen/economists, officials/lawyers, news media representatives, public figures, sports and pop culture representatives are. The project will be crowned by a list of the most influential figures in Lithuania overall on September 4. The project is unique in that the opinions of the Lithuanian elite and public are compared. This means that two surveys were performed, one of the country's elite and another representative and reflecting the opinion of the Lithuanian people. 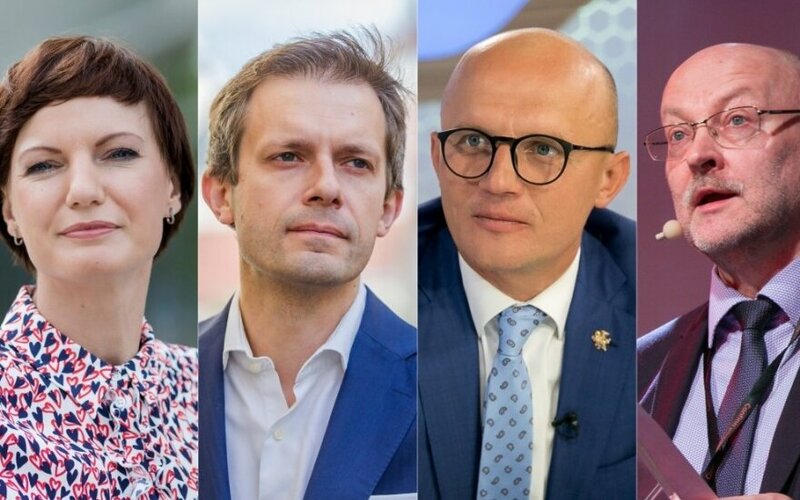 Who are the most influential Lithuanian politicians on social media?